Zip lock great way to carry big flies. 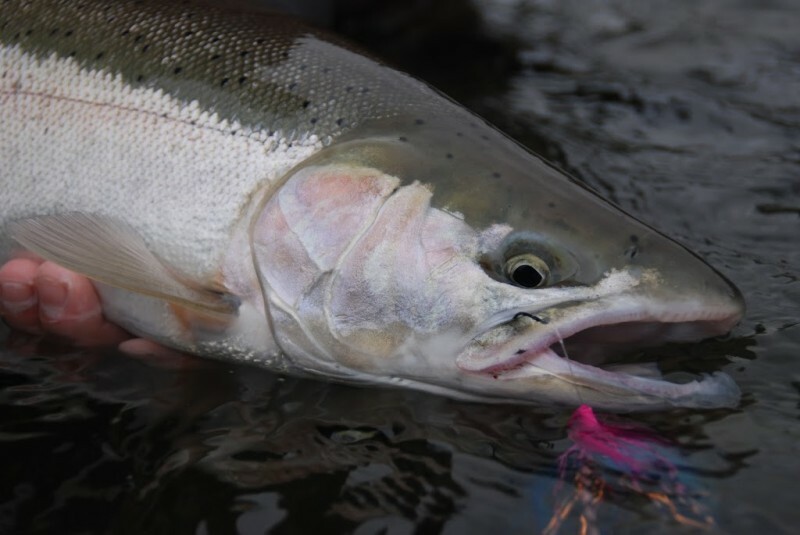 Well, they are no secret… tube flies are out there and people in the know are using them to fish for steelhead, Atlantic and Pacific salmon, even large trout with lots of success. The boys across the pond have been using them for years. Tying some of the first tube flies on goose quills, and the first plastic tubes on the stripped coating of electrical wire. Even in the Northwest guys have been fishing them for some time now. Be as creative as you want with your tubes!!! Now tube flies have become far more mainstream. 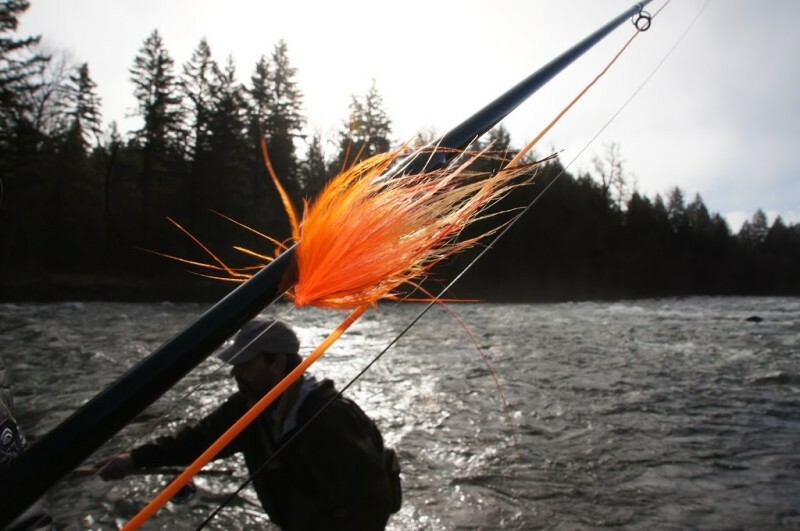 Both, on the market flies, and the amount of tube fly tying products and accessories have gone through the roof in the last five years. With innovative tiers and progressive companies backing these tiers up, the steelhead anglers of the Northwest can reap the rewards. Tandem flies are easy and effective. Spring Sandy fish fell for a deadly tube. There are many other hook options. These are just to get your mind working. Rigging tube flies can be as easy as a simple clinch knot, surgeons knot, or even a blood knot. The second added bonus to the tube fly is fly size. 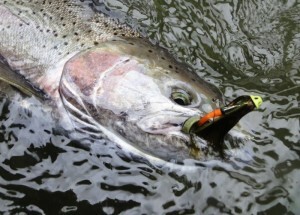 You can tie much larger flies on tubes than you can on solid hooks. This is mainly because you can get tubing in a variety of lengths and diameters. Which mean you can also tie very small flies on tubes as well. Small flies can be very effective at times and having the ability to place a size proportionate hook to the fly size is a very important feature, in my book. 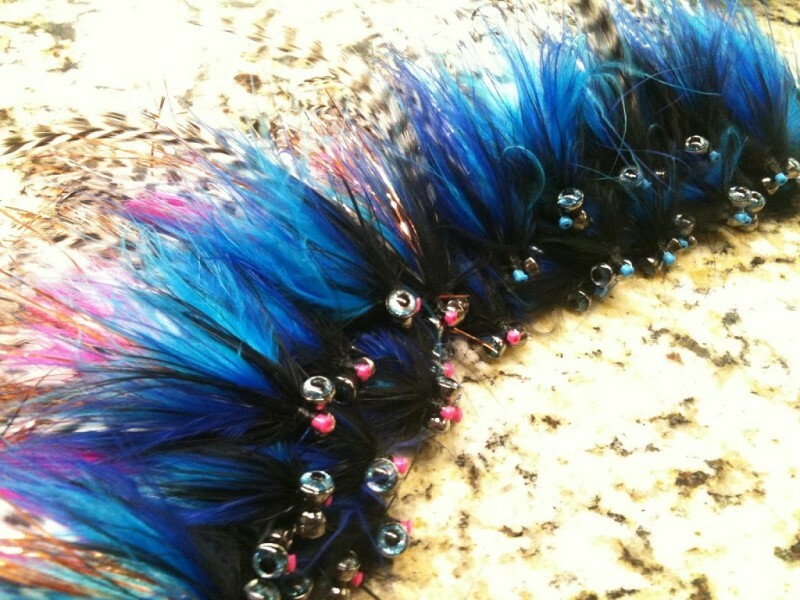 Tube flies can be massive! Neutrally buoyant… tubes, until you add weight to them, are very much neutrally buoyant. So they swing across the run in a flat plain not skipping or jumping up and down in the water column. On the other end tubes are more readily able to hold massive amounts of weight, as the comments before you have more room to place the weight, over a larger surface area. 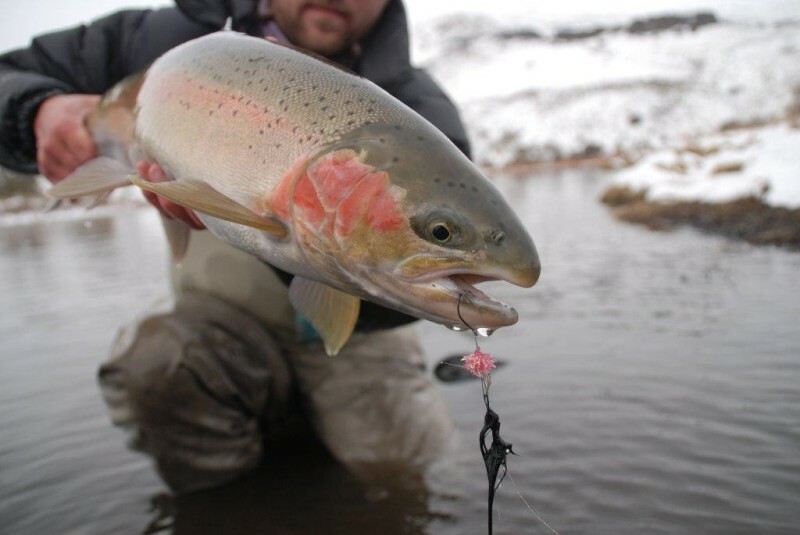 Solid hooks sink already, and are limited by the tying space on the hook. 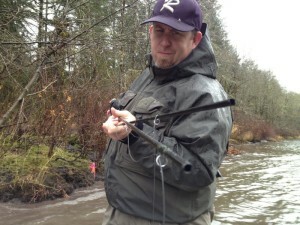 Another plus for tube flies. Color is another thing that tubes offer. The fact that tube can be purchased in wide variety of colors from clear to black. This can be beneficial for a couple of reasons. 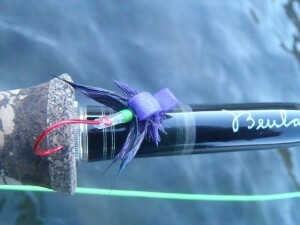 You can use the color of the tube to rib the fly, or the tube can become the body color. It will really help if you want a sparse or light fly, because you don’t have to add more material. Try to find a pink steelhead iron… colors can be fun. Last and one of my favorite benefits of tubes is you can tie skated flies that will never sink! That’s right hitched tubes are awesome. Unsinkable with the leader coming into the side of the tube the harder the river pulls against the tube the better and higher it skates. I love fishing skated flies and with the hook angled down toward the fish as the Steelhead comes to the fly. 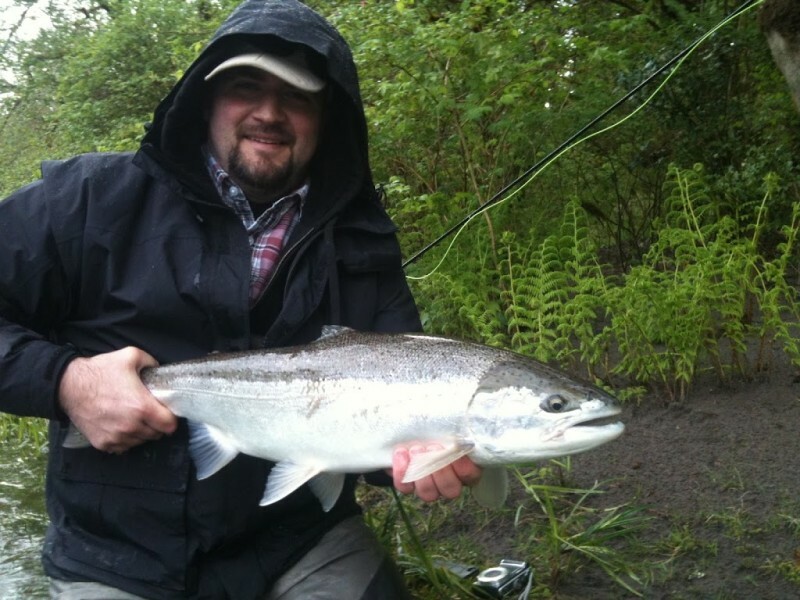 You seem to hook more fish on the skated tube than the traditional waked flies. Great movement in this tube! My buddy Bruce with a coastal fish that fell for a tube fly. 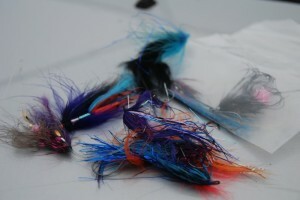 If you do tie your own flies then use these as a muse to help you get creative. 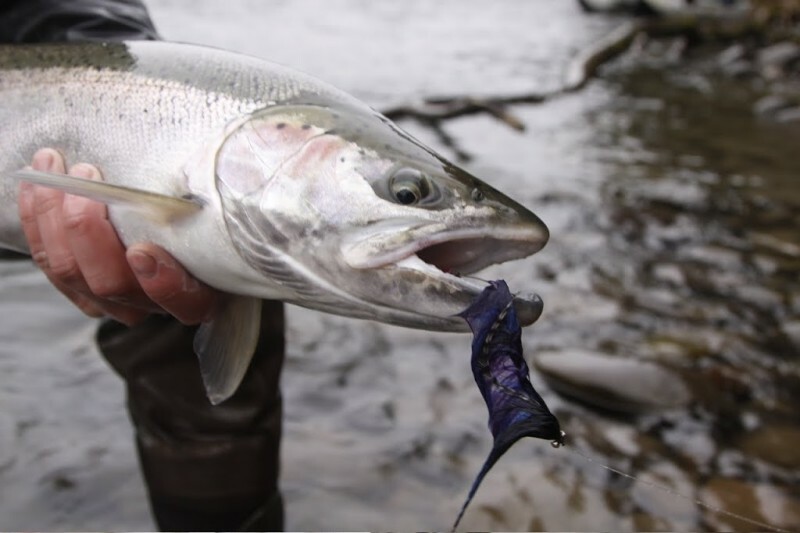 You might also want to check out the Protube and Guideline websites or even Fly Fish USA for some ideas and the available tube components. Even tying old classic on tube can be done and makes tying fun and new again. 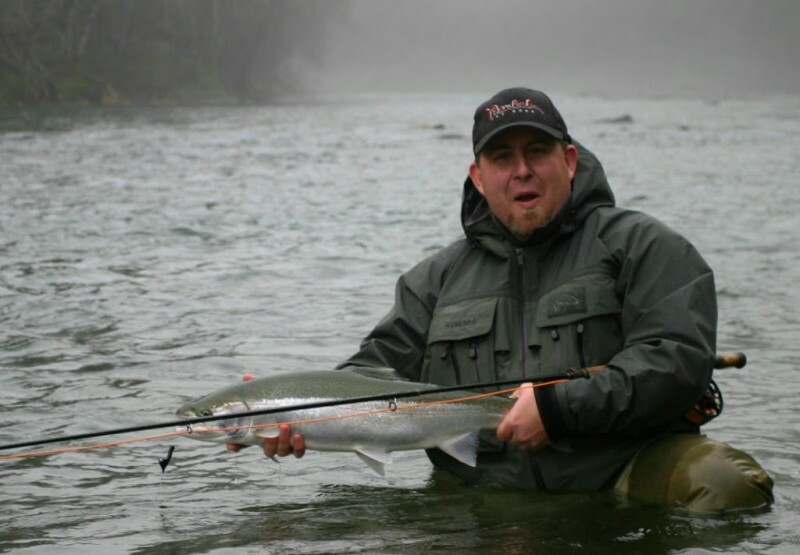 http://speyfishingoregon.com/wp-content/uploads/2013/01/DSC_1956.jpg 535 800 Travis Johnson http://speyfishingoregon.com/wp-content/uploads/2014/04/awa-logo1.png Travis Johnson2013-01-20 01:02:002014-11-27 10:40:24Steelhead Tube Flies ROCK!!!! Well I finally got my photo problem figured out! So here is the photo I tried to get you last week. Enjoy hope some of you have been getting out and Fishing. Pray for rain.